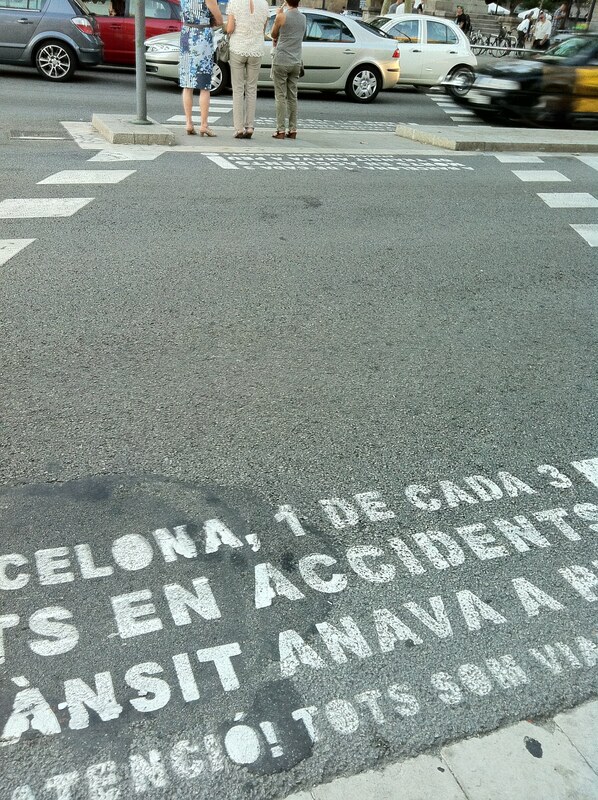 Before crossing the street in Barcelona you get some statistical information that protects you … hopefully. 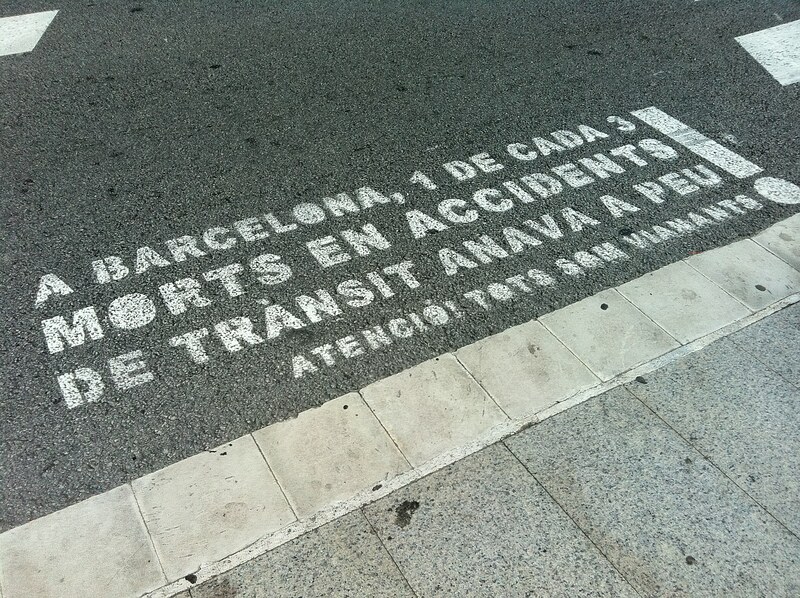 In Barcelona, 1 in 3 deaths in traffic accidents was a pedestrian. Warning! We are all pedestrians.